Photographers Isaac Diggs and Edward Hillel captured the vibrant thoroughfare during a four-year project. Here’s a sample of their work. Collaborative photographers Isaac Diggs and Edward Hillel spent the last four years documenting Harlem's ever-evolving 125th Street. 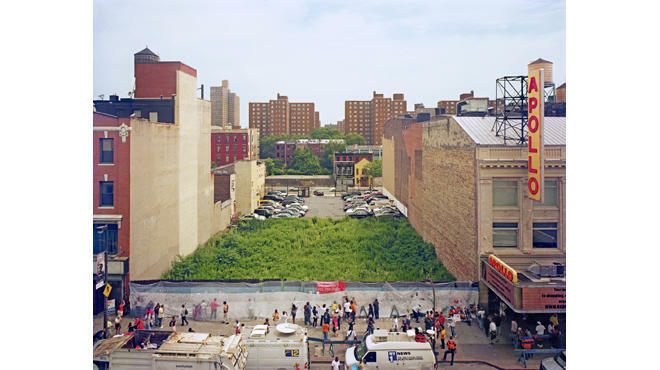 The results of their visual chronology, titled 125th: Time in Harlem, will be published in a book out December 2013. Starting next week, they'll also have a show at Claire Oliver Fine Art. Click through the photos above for preview of the exhibition, which runs October 24 through November 23. If you're interested, you can watch an interview with the artists on Vimeo.